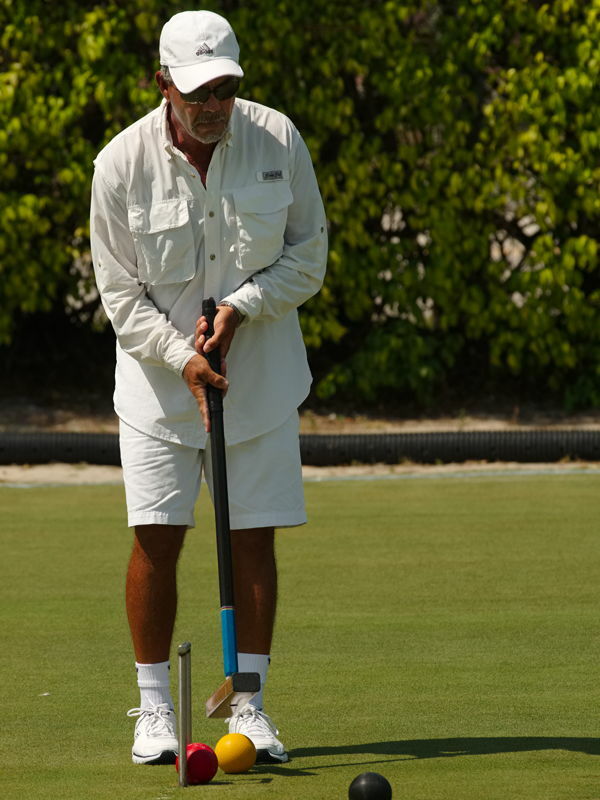 David Maloof, summer croquet pro at the three Linville-area clubs, took the silver medal at the 15th WCF Association Croquet World Championship, held recently in Palm Beach Gardens and West Palm Beach, Florida. Ranked #21 at the start of the tournament, Maloof rises to #9 in the world and #1 in North America. En route to the finals he beat the #7, #2, and #3 seeds (Jeff Dawson, England; Paddy Chapman, New Zealand; David Maugham, England). In the finals he took a 2-0 lead over #4 seed Stephen Mulliner (England), before Mulliner staged his third comeback in a row to win the match 3-2. Other North Carolina players in the 80-player field included Matthew Essick (Lexington), Danny Huneycutt (Lexington), Harper Peterson (Bald Head Island), Jeff Soo (Durham), and Mike Taylor (Pinehurst). Peterson and Taylor both performed above ranking, earning significant wins in the block phase of the tournament. Essick, Huneycutt, and Soo all made the cut to the 32-player Knockout. Huneycutt won his first two Knockout matches to advance to the quarterfinal round. In the first round he beat #5 seed James Death (England) 2-0; in the second round he beat Greg Fletcher (Australia), the current Australian Open champion. This is the first time two Americans have reached the AC Worlds quarterfinals.